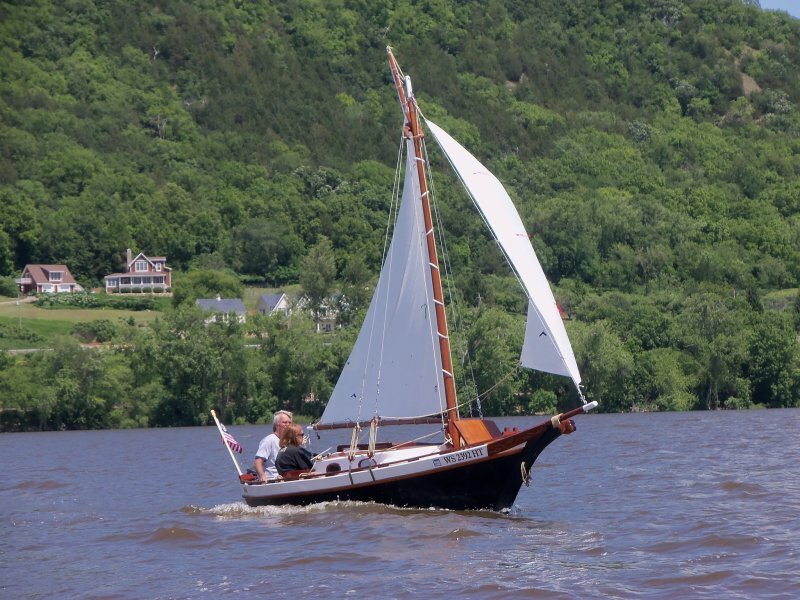 David Blake built MOLLY, a 16′ x 6′ Stevenson Weekender sloop from okoume plywood and mahogany, then covered the hull with fiberglass and epoxy. He made the mast from Sitka spruce and the boom and gaff from Douglas-fir. He writes that she is remeniscent of Maine's Friendship sloops of the last century. 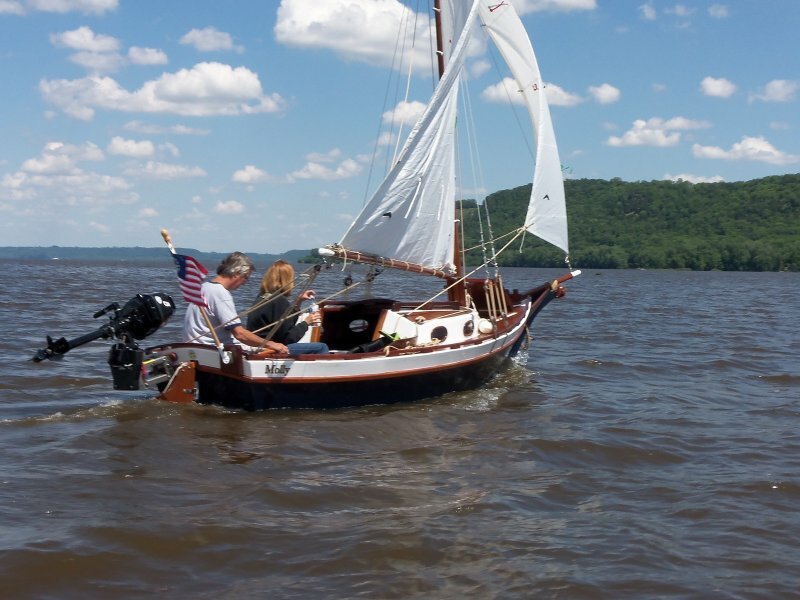 David can be seen sailing MOLLY on Pewaukee Lake, Wisconsin. He can be contacted at docblake@aol.com. Plans are available from Stevenson Projects.